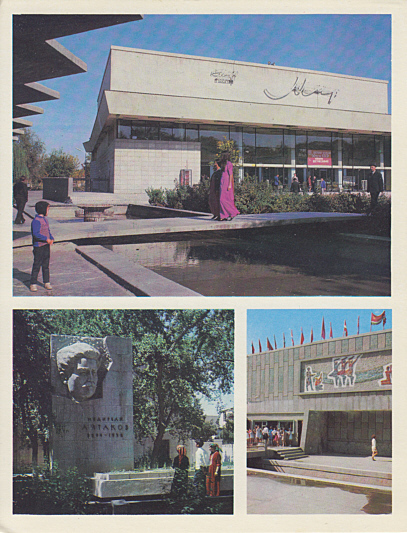 Cinema and Concert Hall "Peace", built 1964-1966 by Fyodor Yevseyev and Mariya Yevseyeva. Opened 1966. Later renamed "Kinoteatr Parahat". Later converted to a restaurant ("Parahat Restoran").